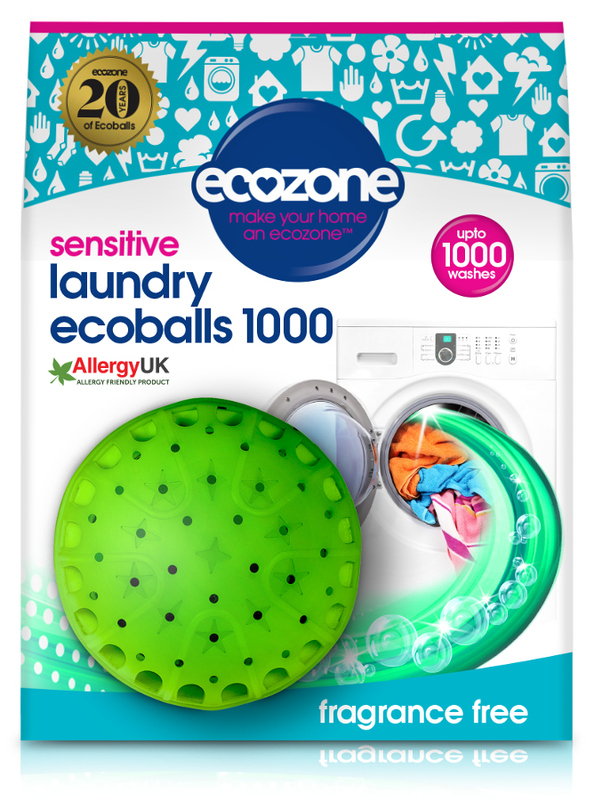 The innovative Ecoball from Ecozone provides an eco-friendly laundry solution, using two types of pellets made from minerals and plant-based cleaning agents to lift the dirt away from the material and keep the water soft for an effective clean. 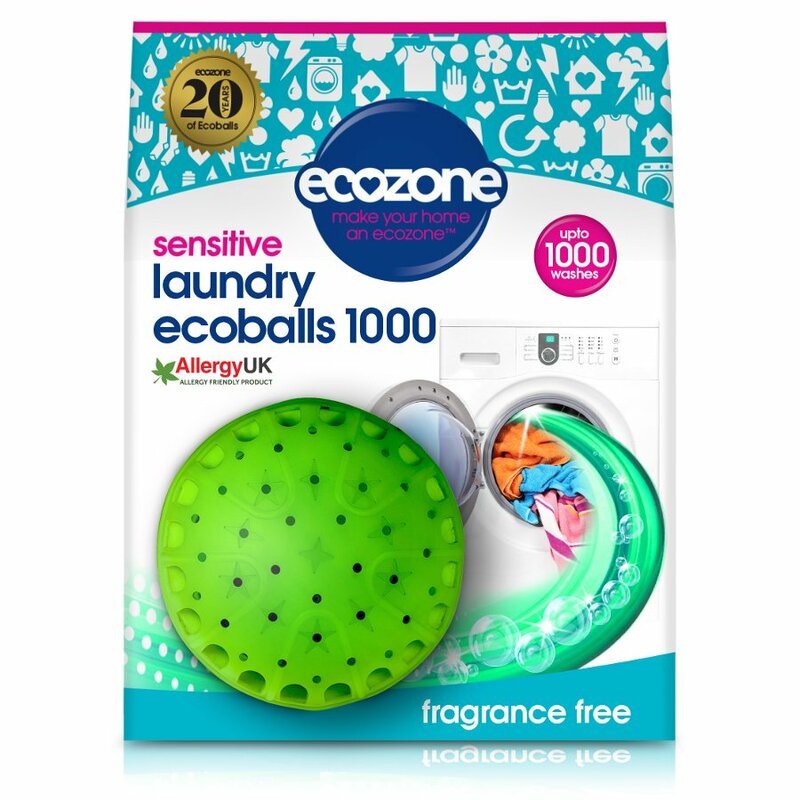 The natural cleaning power means there are no nasty chemical residues left on your laundry, plus the Ecoball is hypoallergenic, Allergy UK approved and gentle on fabrics without compromising on effectiveness. Perfect for use by those who have sensitive skin and those who are trying to live an eco-friendly lifestyle. 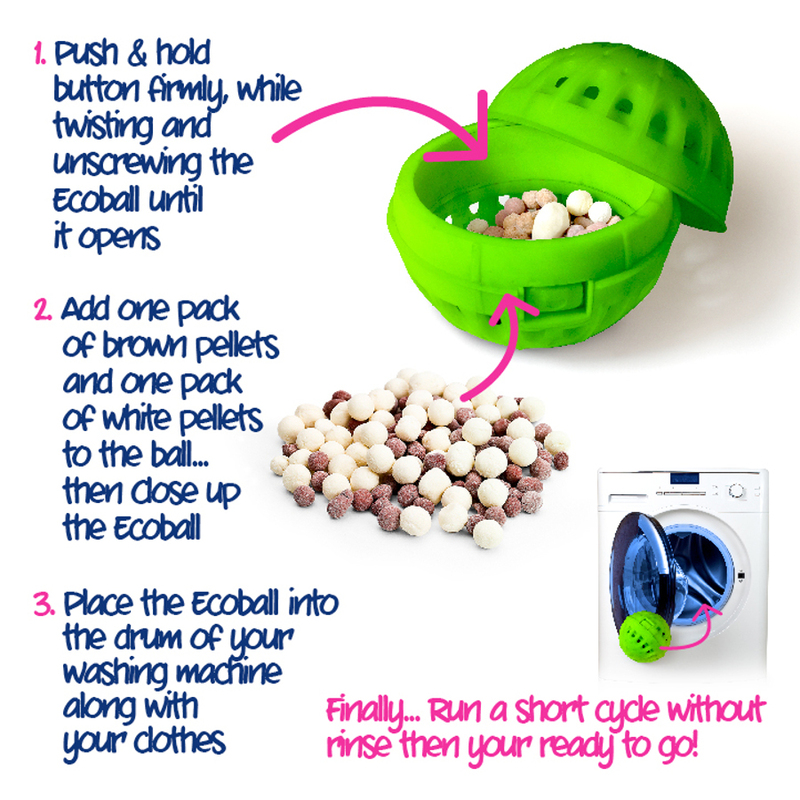 Not only is it great for the planet, the Ecoball can save you money too, since it lasts for up to 1000 washes, it’s less than 3p per wash (based on a 30 minutes cycle) and there’s no need to put the laundry on a rinse cycle so it will be finished faster too. The updated Ecoball includes 1 larger ball, instead of the previous 3 ecoballs, and is free from animal ingredients, animal testing and palm oil. 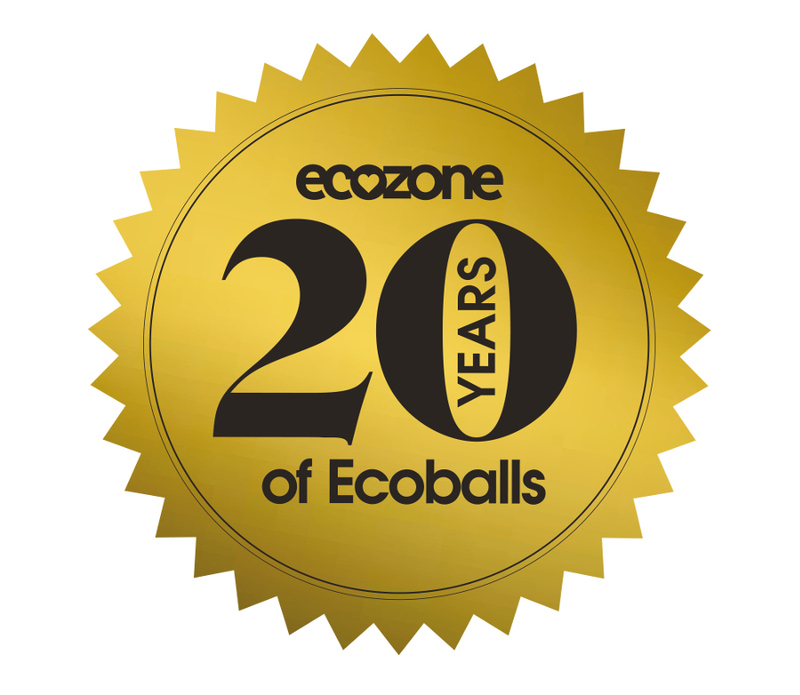 In 2018 Ecozone are celebrating 20 years of Ecoballs! Anionic Sufactants >51%, Sodium Carbonate >11%, Sodium Metasilicate >11%, Calcium Carbonate >10%. 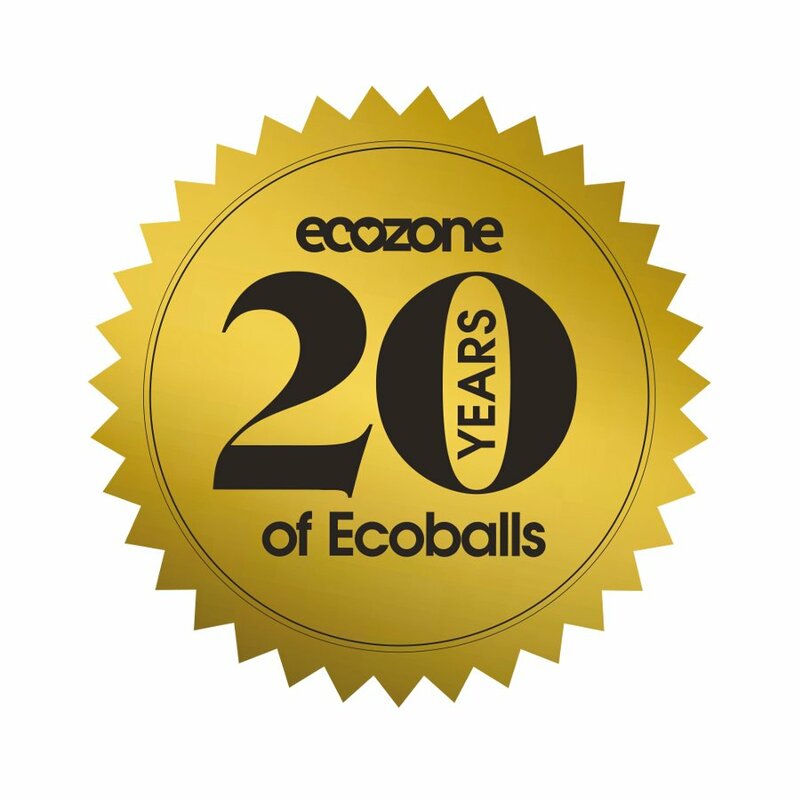 There are currently no questions to display about Ecozone Ecoballs ® - 1000 Washes -the original Eco Balls.